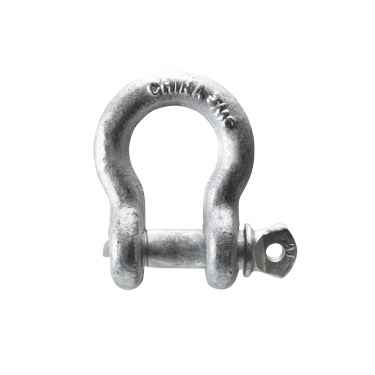 These galvanized screw pin anchor shackles are priced to move. Made of galvanized steel, the anchor shackle is a tough and durable accessory for nylon slings, as well as polyester slings. Paired with a lifting sling, they help protect the eyes of your sling from wear and tear on clevis hooks. This clevis can be used in many applications such as industrial, agricultural and marine applications. Screw Pin Shackles: 1/2" [Add $1.90] 5/16"